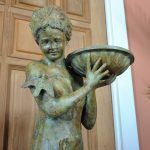 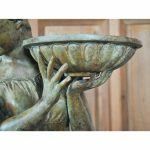 Lovingly produced using an age old and labor intensive process the Bronze Girl with Tray Fountain makes for a wonderfully decorative water feature. 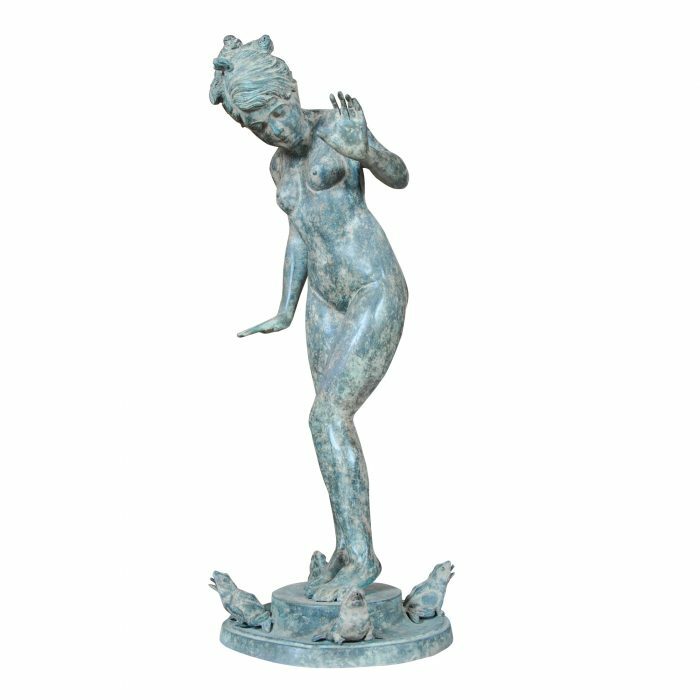 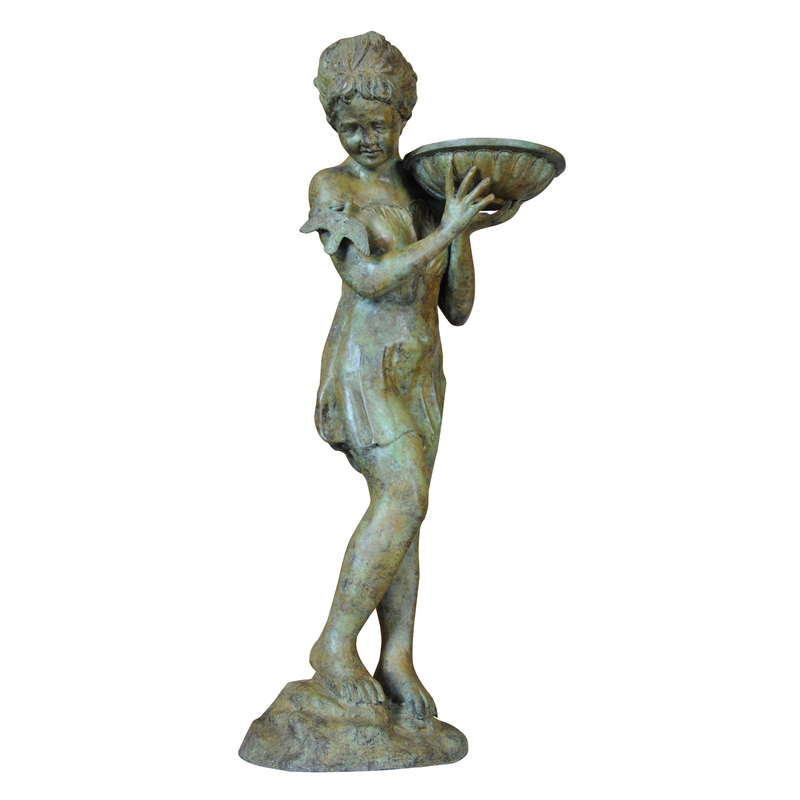 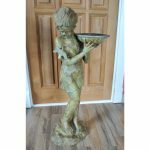 Standing approximately 35″ tall the Niagara Furniture Bronze Girl with Tray Fountain is finished in a multi stage, time consuming process which can only be achieved by skilled and experienced artisans. 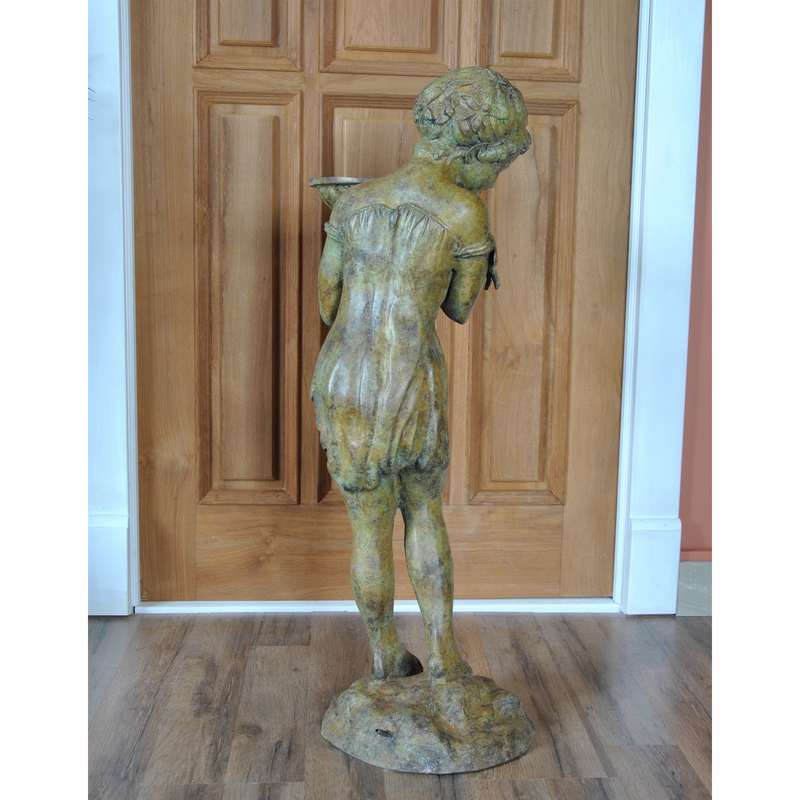 The rich shades of green in the finish resemble the natural patination process which develops when bronzes are left outside for generations, thus giving our statue the look of a beloved antique item. 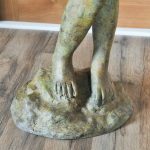 This beautiful patination process can be seen all around the statue as it is designed to be displayed where it can be viewed from every angle. 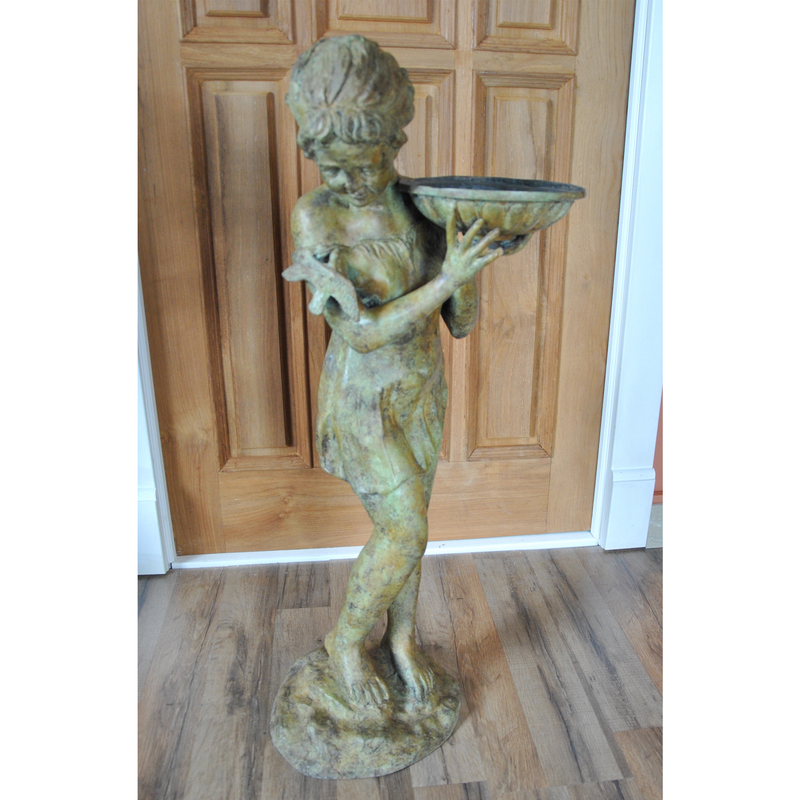 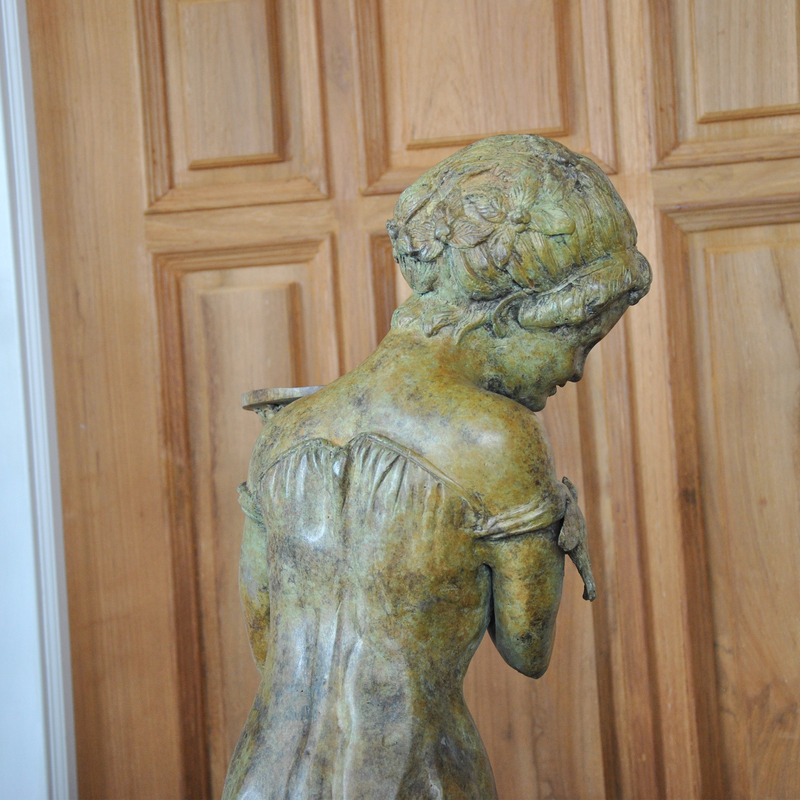 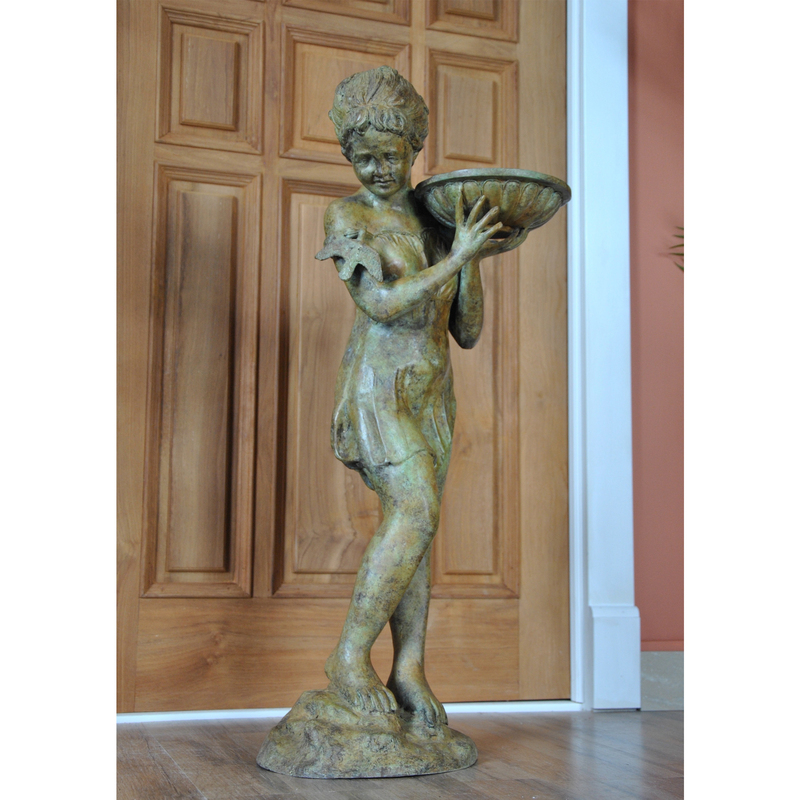 Ideal for display in the garden our bronze girl would also look great in an indoor setting as well. 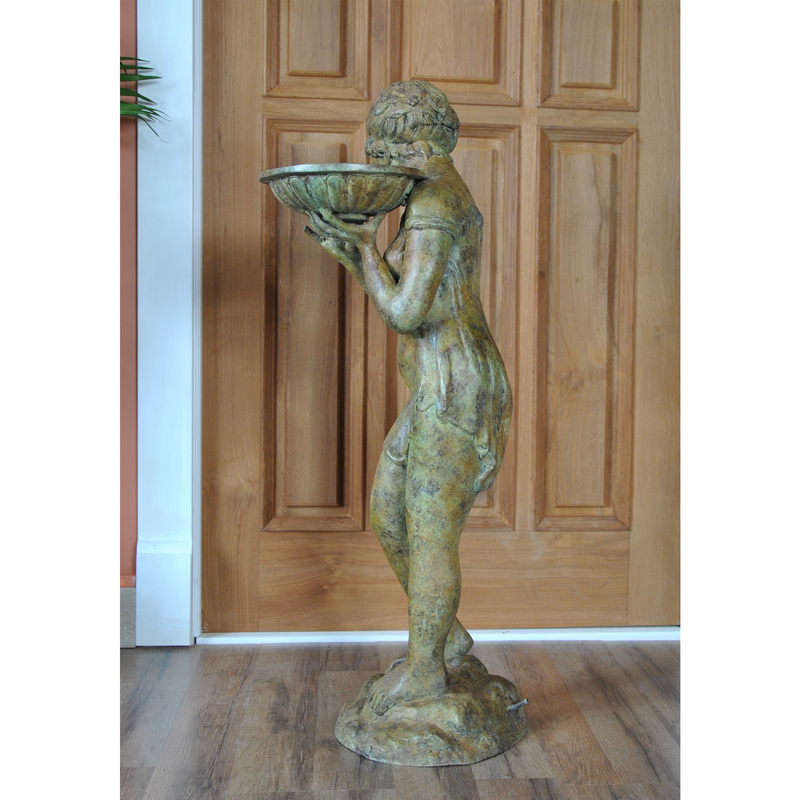 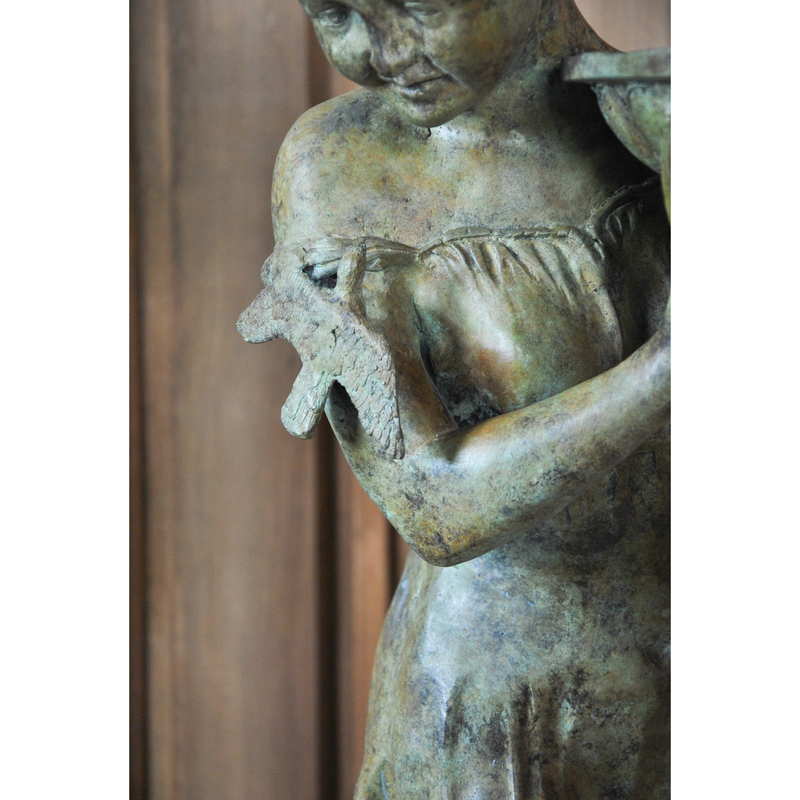 This figure has been created using the “lost wax” casting method in which several large bronze pieces are cast and then brazed together to create a single statue with hand chasing details throughout. 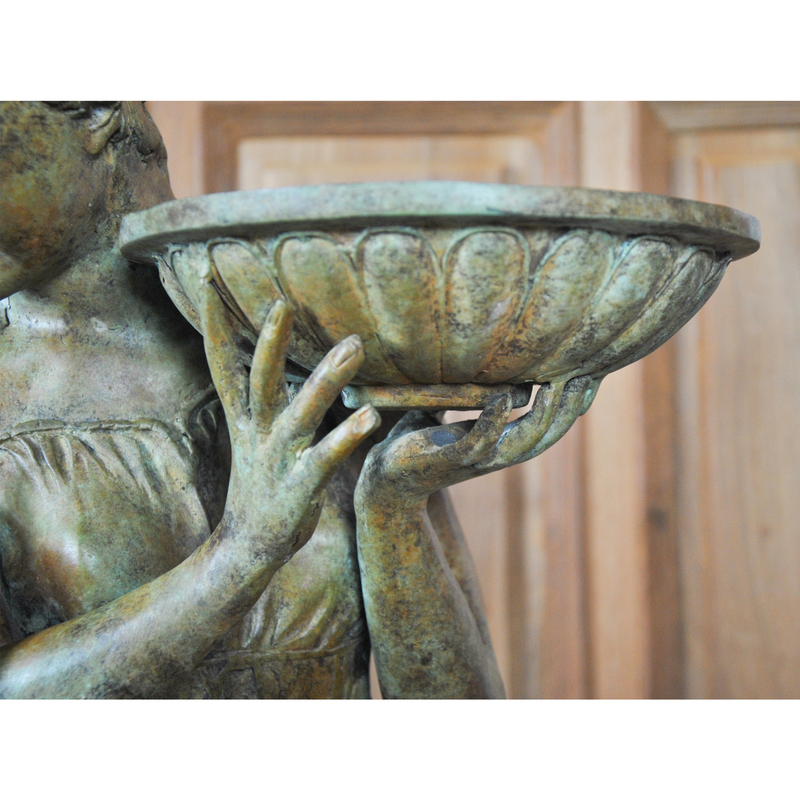 The listed price of this item includes free curbside shipping for most addresses in the continental USA. 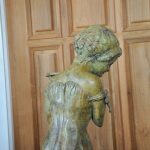 Should you require more information regarding our free shipping program or if you prefer to have your items delivered via white glove service for an additional charge please call (717) 769-7906. 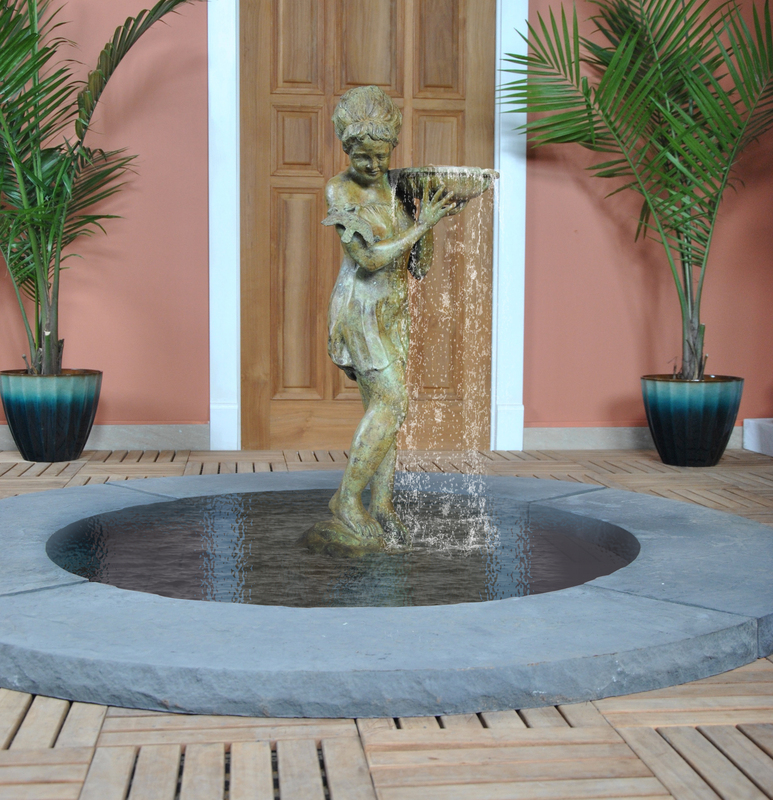 The final photo shows an artists version of the fountain in use, actual water flow may vary slightly. 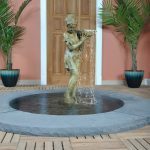 Please note that the fountain pump, in ground water basin and stone surround are not included in the purchase price of this fountain.